For many people, German food often conjures up images of sauerkraut and boiled pork roasts rather than barbecue. However, like most cooking traditions, German cuisine began long ago on an open flame. One of their greatest contributions to the world includes smoked and grilled sausages. Sure, the Germans didn't invent sausage, but when we talk about Germany, we have to at least mention it. If you fly into San Antonio and take your rental car north about 20 minutes (depending on traffic, of course), you will find the little town of New Braunfels. This is a German-inspired town. In the early days of the Republic, Sam Houston needed a source of people for his new country, so he appealed to German immigrants. These immigrants began settling throughout Texas preserving most of their culture, resulting in German-style cooking within Texas. Most importantly, the Germans brought us brisket. Brisket was considered a worthless cut of meat in the United States and usually ground up for chili or stew. The old German tradition placed tough brisket in a Dutch oven to cook low and slow until tender. 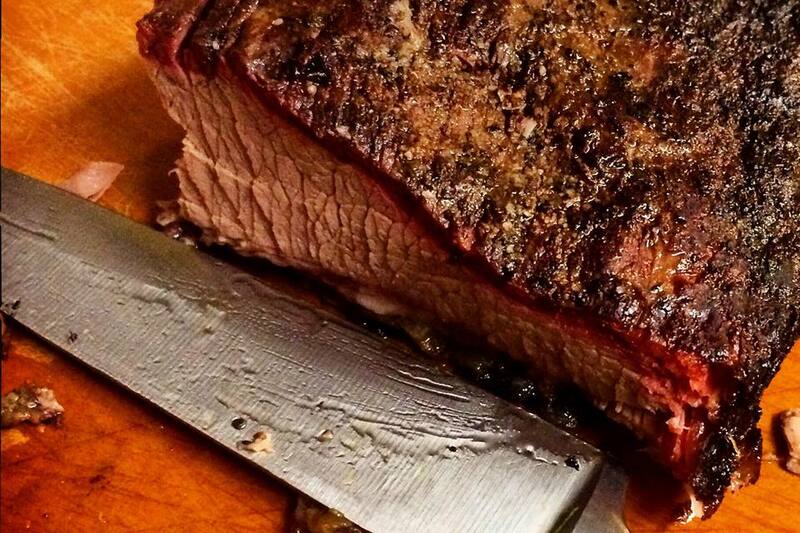 It wasn't until the 1950s when a couple of German butchers put a brisket in a smoker to make modern Texas Barbecue. The great thing about ordering food in restaurants in New Braunfels and Fredericksburg is that you can get a plate of BBQ ribs, German sausage, potato salad, and baked beans without knowing which is Texan and which is German. Fredericksburg (west of Austin by 100 miles or so), used to be a German-speaking town. Now, with the exception of a few German cultural festivals, these places are all American. In addition to sausage, Germans have always had a strong liking for potato salad. Though true German potato salad is very different from what most Americans think potato salad should be. It is an important side dish to barbecue, much like coleslaw and beer. Beer and Germany. Could there be a connection? Smoked sausage, potato salad, beer and coleslaw all have strong roots in German culture. So, next time you lift a rack of ribs off the grill and lift a dark and bitter beer to your lips, think of the brave explorers of the American frontier who ventured to Texas with an invite from Sam Houston.